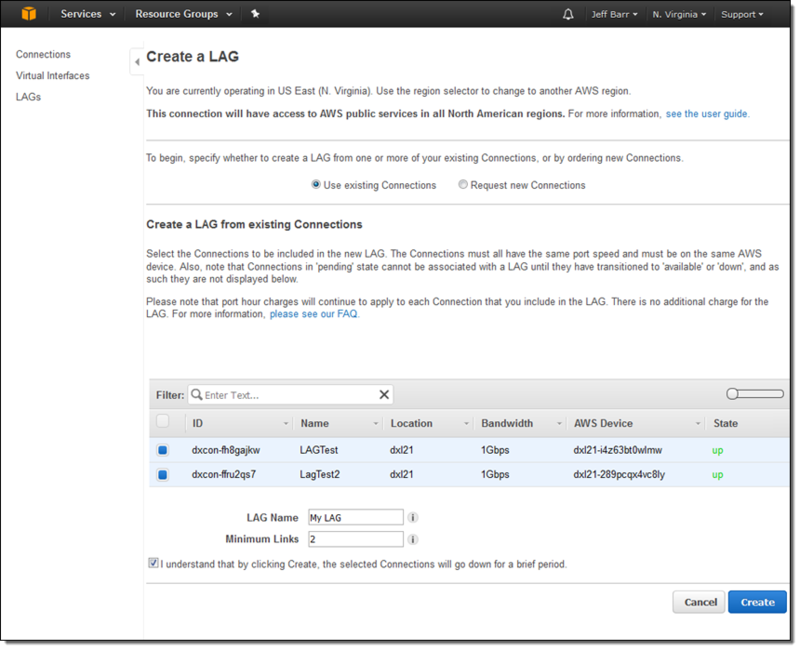 AWS Direct Connect makes it easy for you to create a dedicated network connection from your premises to AWS. This private connectivity can reduce your network costs, increase data transfer throughput, and provide a more consistent experience than a shared Internet-based connection. Equinix Slough (LD4, LD5, LD6) – supporting the EU (Ireland) region. Equinix Dallas (DA1, DA2, DA3, and DA6) – supporting the US East (Northern Virginia) region. GPX Mumbai – supporting the Asia Pacific (Singapore) region. Tivit São Paulo – supporting the South America (São Paulo) region. 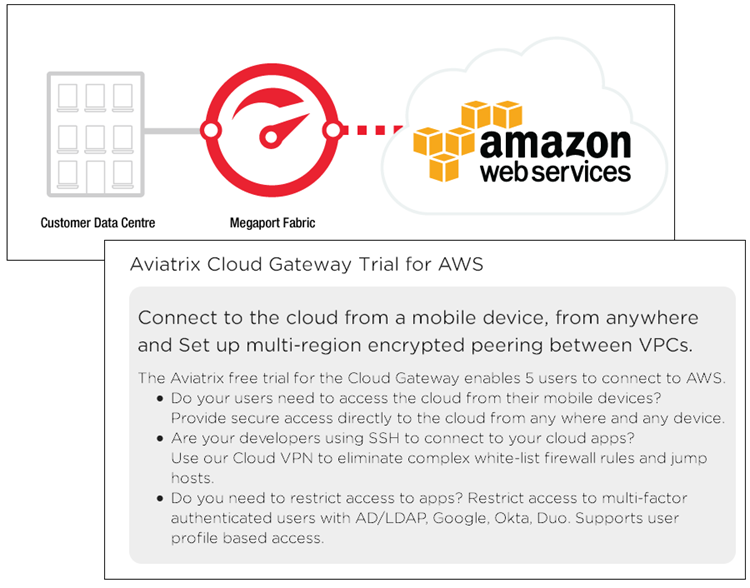 Equinix San Jose (SV1, SV5) – supporting the AWS GovCloud (US) region. Every AWS region is now supported by a pair of Direct Connect locations. This allows you to incorporate an additional level of redundancy into your designs. In addition to using multiple VPNs for backup and provisioning two connections to the same site for device redundancy, you can now get site redundancy for every region. 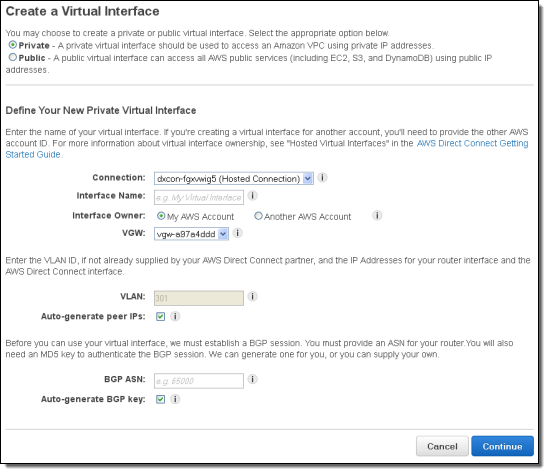 A single VPC can accommodate multiple connections; to learn how to set this up read Configure Redundant Connections with AWS Direct Connect. Connections are always made to a particular Direct Connect location and can run at 1 Gbps or 10 Gbps. If you don’t need that much capacity, you can work with one of our Direct Connect Partners to provision a more modest connection. To learn more, check out the Direct Connect User Guide. AWS Direct Connect makes it easy to establish a dedicated network connection from your premises to AWS. Our customers use Direct Connect to reduce their network costs, increase throughput, and provide a more consistent network experience than Internet-based connections. 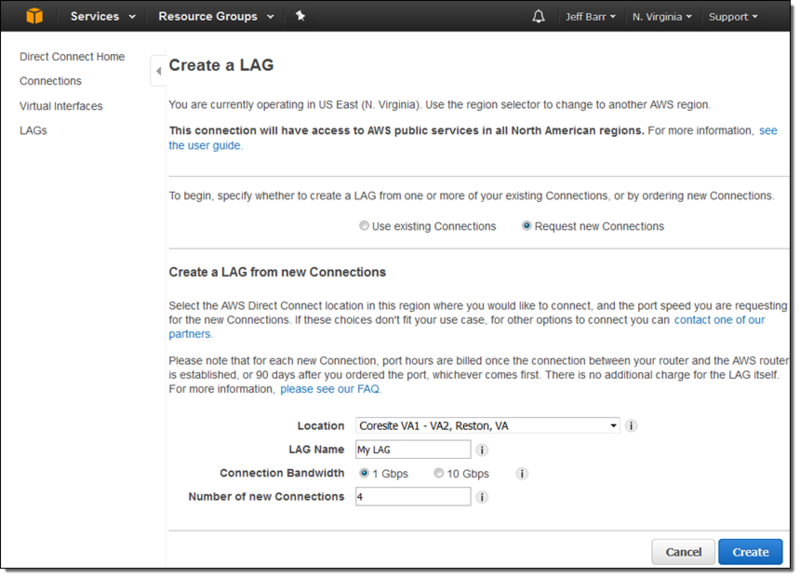 Effective immediately, you can provision a single connection to any Direct Connect location in the United States and use it to access all four of the AWS Regions in the US (US East (Northern Virginia), US West (Northern California), US West (Oregon), and AWS GovCloud (US)). Data transferred between Regions flows over network infrastructure maintained by Amazon and does not flow across the public Internet. If you have already used Direct Connect to create a dedicated connection, the new routing is already in effect. Our networking infrastructure now announces routes to the connection via the usual BGP announcements. As a Direct Connect user, you will see a number of benefits from this change. Cost Savings – One connection, to any AWS Region in the US, can potentially take the place of up to four existing connections. You will pay less for your network circuits and for Direct Connect, and the per GB data transfer cost is also lower. 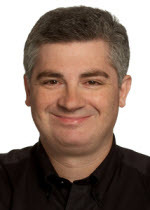 Improved AWS Access – Your on-premises applications can now connect to the public endpoints of AWS services running in any of the AWS Regions in the US. Enhanced Data Protection – Data transferred between the application and AWS will not flow across the public Internet. This new feature is included in the cost of Direct Connect. You pay only for data transfer from the remote Regions to your Direct Connect Region. This data transfer is billed at the rate of $0.03/GB. 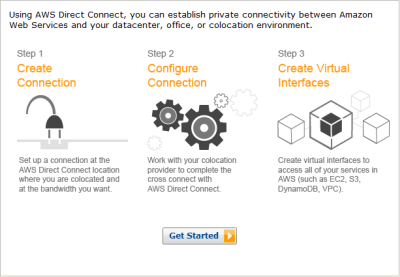 AWS Direct Connect makes it easy for you to establish a dedicated network connection from your premises to AWS. You can do this to reduce your network costs, improve throughput, or to provide a more consistent network experience than is possible with an Internet-based connection. Today we are making AWS Direct Connect even more powerful and flexible, with additional connection speeds, an updated console, and the ability to share virtual interfaces on a single connection between multiple AWS accounts. Let’s take a look at each one of these new features. We launched Direct Connect in 2011 with support for connection speeds of 1 and 10 Gigabits per second. Today we are expanding that range, with support for speeds of 50 to 500 Megabits per second. 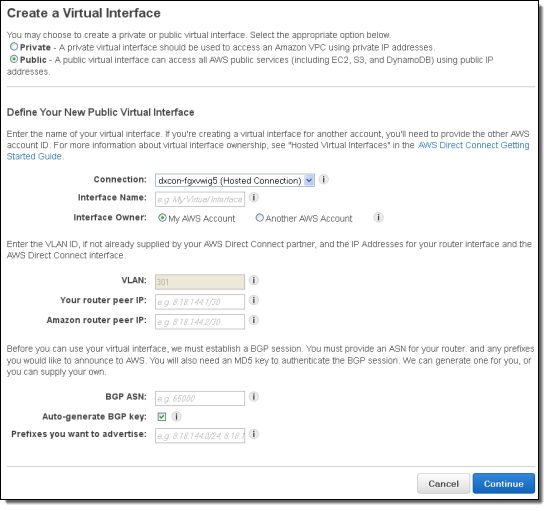 Connections of this type are available in all eleven of the AWS Direct Connect locations, and can be ordered through select members of the AWS Partner Network (APN). This additional flexibility lets you use Direct Connect in new ways. For example, you can connect branch offices and subsidiaries that have modest connectivity needs. We have revised the Direct Connect Console to make it easier for you to manage your Connections and your Virtual Interfaces. As a reminder, a single 1 Gigabit or 10 Gigagit Connection supports multiple Virtual Interfaces. Each Interface can be public or private. 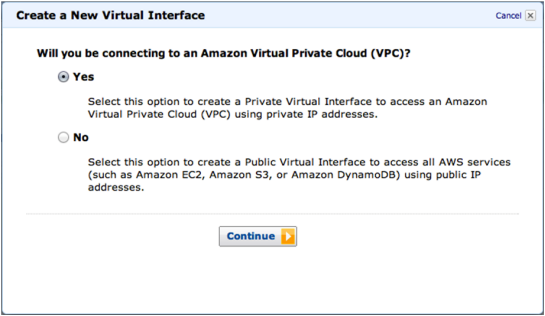 A public interface can access all AWS services using public IP addresses. 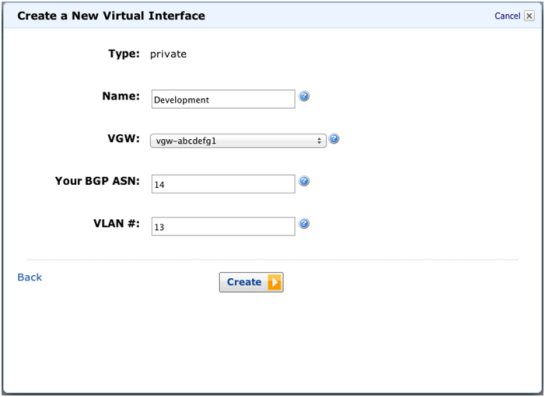 A private interface can access a single Virtual Private Cloud (VPC) using private IP addresses. 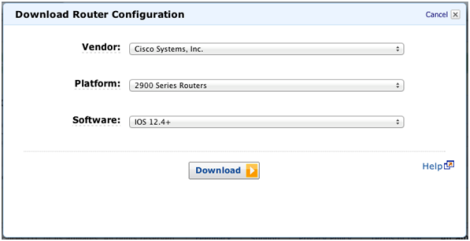 If you look closely at the screen shot above, you will see that you can now set the IP address of the Amazon router. You can also choose to supply your own BGP key. Both of these features provide you with additional control and will let you choose addresses and keys that are in alignment with your organization’s policies. If you create a connection using one of the new sub-gigabit port speeds, the APN Partner will use this connection sharing model to make the connection available to you. You will have to accept it in order to create a Virtual Interface on it and to start using it. AWS Direct Connect makes it easy to establish a dedicated network connection from your premises to AWS. 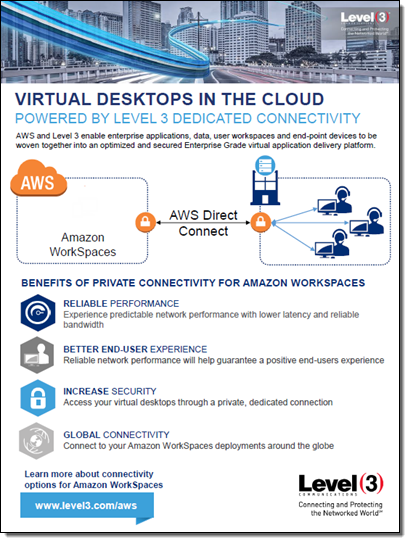 You can establish private connectivity between AWS and your datacenter, office, or colocation environment. This has the potential to reduce your network costs, increase bandwidth throughput, and provide a more consistent network experience than Internet-based connections. Today we are introducing our eleventh Direct Connect location, and our second in Europe. The new location is in Dublin, Ireland at the Eircom Clonshaugh facility. If you have equipment within this facility, you can use Direct Connect to optimize your connection to AWS. 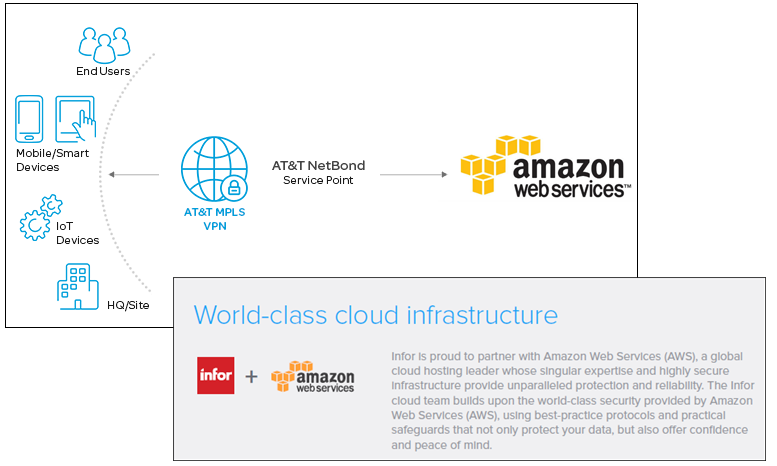 If your equipment is located somewhere else, you can work with one of our APN Partners supporting Direct Connect to establish a connection from your location to a Direct Connection location, and from there on to AWS. You can get started with Direct Connect by opening up the AWS Management Console and signing up for Direct Connect. 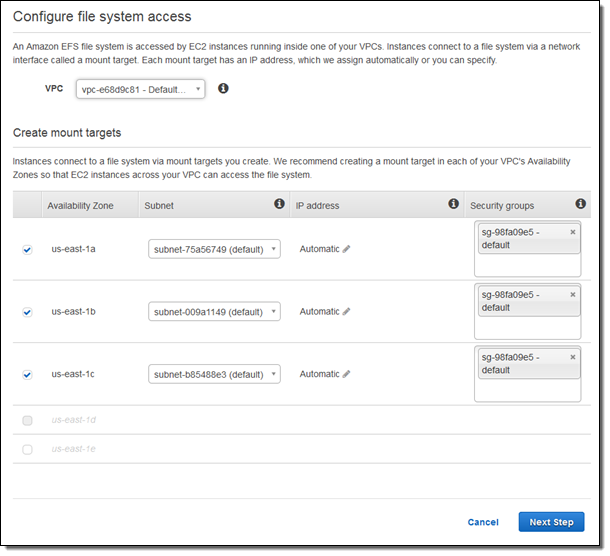 You can use AWS Direct Connect to create a dedicated network connection from your datacenter, office, or colocation environment to AWS. Connections are always made to a particular Direct Connect location, and can run at either 1 Gbps or 10 Gbps. We are making two important announcements today. First, we are opening up an AWS Direct Connect location in Seattle. Second, we are introducing AWS Direct Connect support for AWS GovCloud (US). 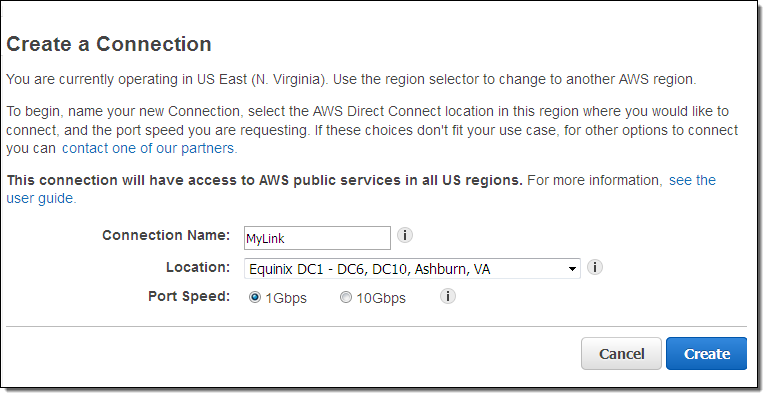 AWS customers in the Pacific Northwest can now make use of the AWS Direct Connect location at the Equinix SE2 facility in Seattle. 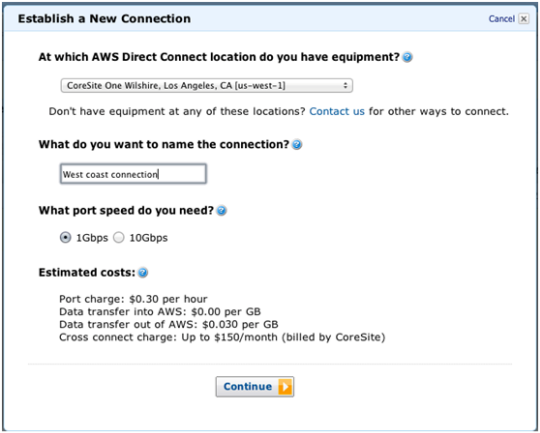 If you are running your own equipment in SE2 you can use Direct Connect to optimize the connection to AWS. 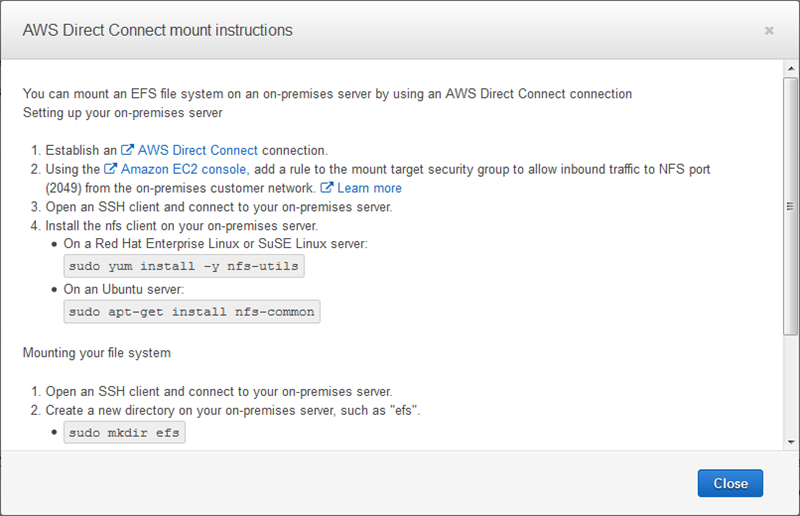 If your equipment is located elsewhere, you will need to establish a connection from your location to an AWS Direct Connect location in order to connect to AWS. 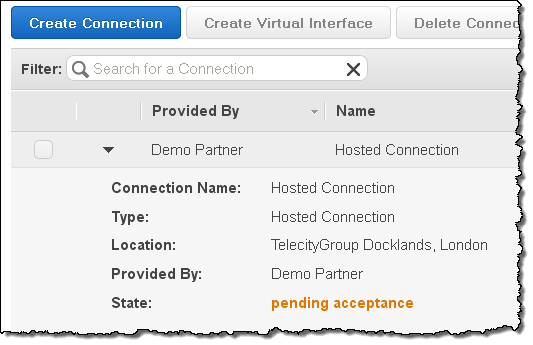 The best way to do this is to work with an APN Partner that supports AWS Direct Connect. They will be happy to work with you to establish your connection. Direct Connect now allows you to transfer data from any AWS Direct Connect location in the United States to AWS GovCloud (US). As you may know, this AWS Region was designed for the specific regulatory and compliance requirements of Controlled Unclassified Information (CUI). Depending on your needs, you can also run unclassified workloads in AWS GovCloud (US) to take advantage of the unique capabilities of the Region. AWS GovCloud (US) Office Hours will run from 1:00 PM to 3:00 PM EST on Tuesday, May 14th. 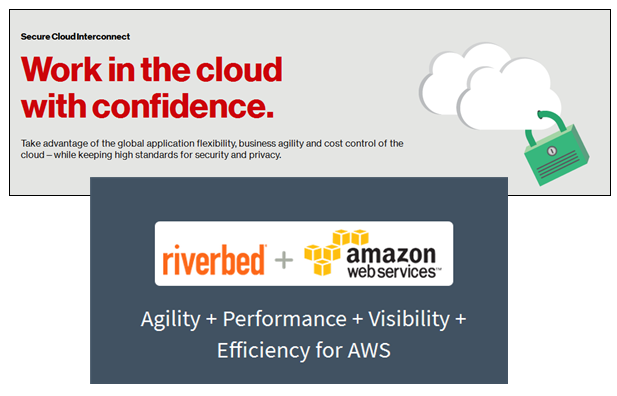 The Introduction to AWS GovCloud (US) Region webinar will be held on May 15th at 1:30 PM EST. Both of these events are free but space is limited and preregistration is recommended. Did you know that you can use AWS Direct Connect to set up a dedicated 1 Gbps or 10 Gbps network connect from your existing data center or corporate office to AWS? CoreSite 32 Avenue of the Americas, New York – Connect to US East (Northern Virginia). New. Terremark NAP do Brasil – Connect to South America (Sao Paulo). New. 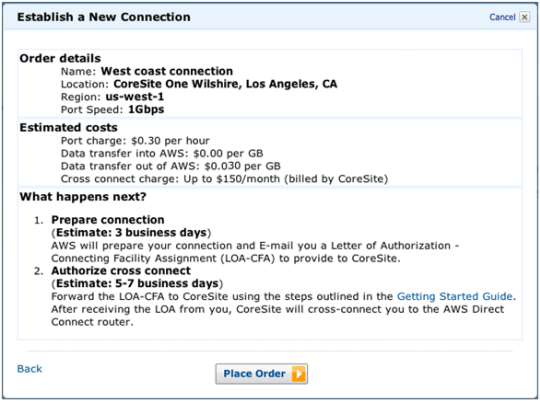 CoreSite One Wilshire, Los Angeles, CA – Connect to US West (Northern California). Equinix DC1 DC6 & DC10, Ashburn, VA – Connect to US East (Northern Virginia). Equinix SV1 & SV5, San Jose, CA – Connect to US West (Northern California). Equinix SG2, Singapore – Connect to Asia Pacific (Singapore). Equinix TY2, Tokyo – Connect to Asia Pacific (Tokyo). TelecityGroup Docklands, London – Connect to EU West (Ireland). 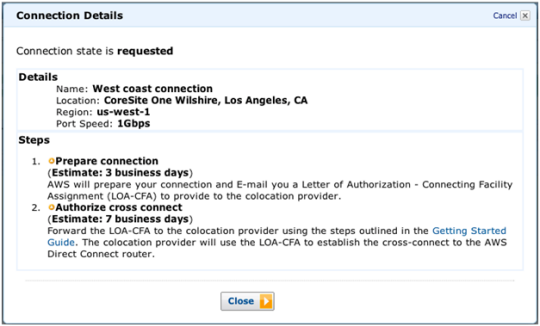 If you have your own equipment running at one of the locations listed above, you can use Direct Connect to optimize the connection to AWS. If your equipment is located somewhere else, you can work with one of our APN Partners supporting Direct Connect to establish a connection from your location to a Direct Connection Location, and from there on to AWS. Up until now, you needed to fill in a web form to initiate the process of setting up a connection. In order to make the process simpler and smoother, you can now start the ordering process and manage your Connections through the AWS Management Console. And there you have it! Learn more about AWS Direct Connect and get started today.